Until last night, I didn't even know what this was called. 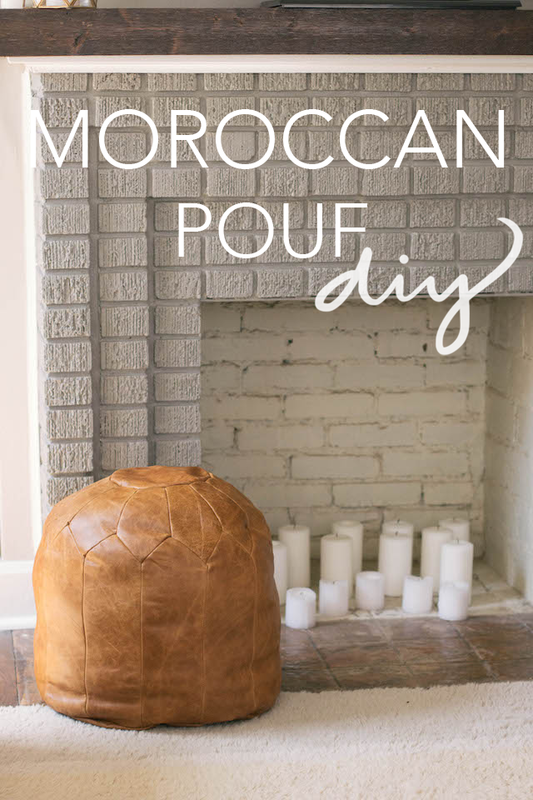 I searched on Pinterest 'leather pouf' and found they are actually called Moroccan Poufs. They can be pretty pricey, so I was pretty excited when I found this tutorial on how to make your own. 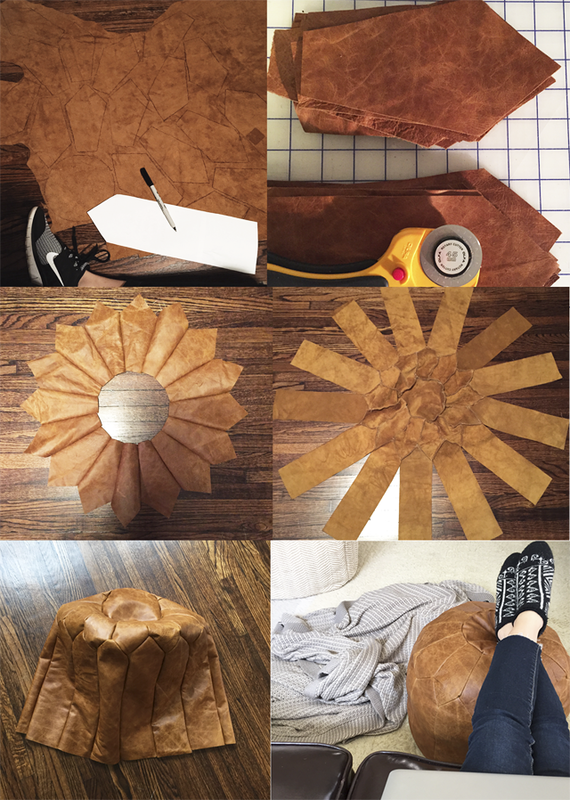 It seemed like a fun project to try out and I had plenty of leather left over from a project I was never going to use so it was worth the shot! You can follow Gentry's tutorial here. It is very easy to follow! 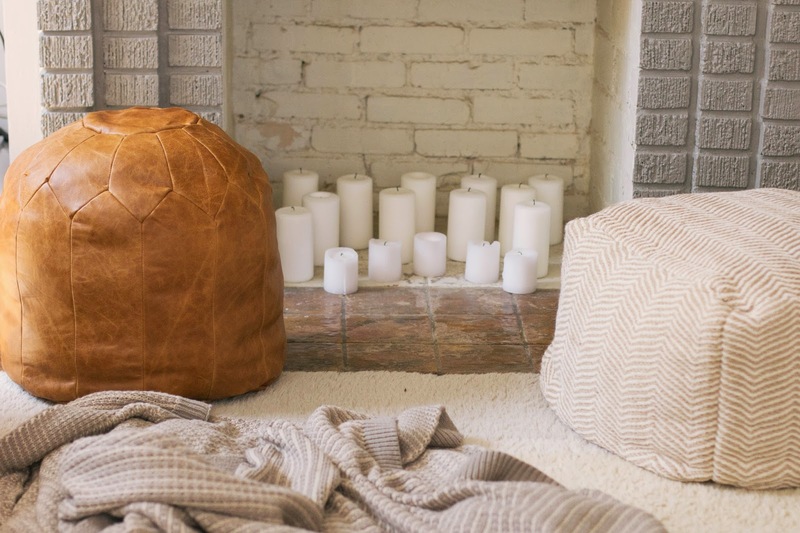 -I used a thin, distressed leather hide. It was about 2 yards and I had some left over. -Pleather would also work great! -For stuffing, I used batting, old pillow cases, and pillow filling. 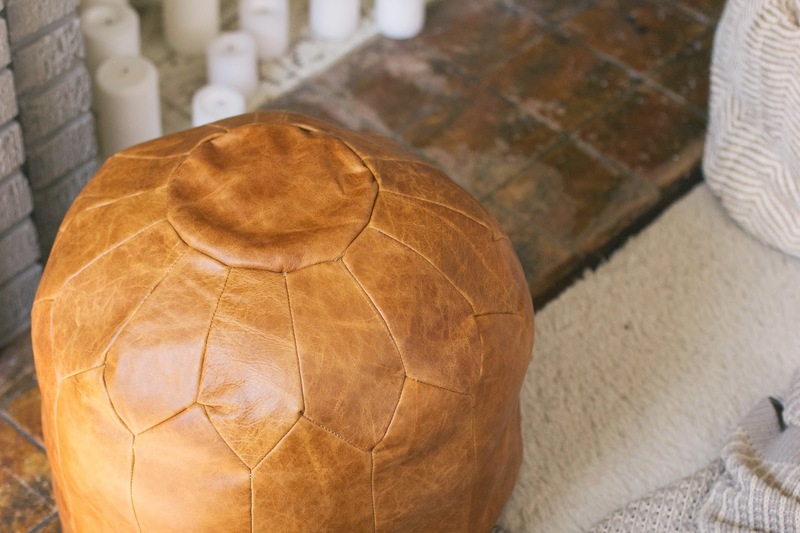 To fill your pouf, stuff a lot towards the top and shape it. This makes the shape prominent and doesn't make it too stiff. Be less generous with the stuffing towards the zipper. -I was going to add stitching afterwards using the zig zag stitch on my machine but stuck with the subtle shapes. If you want to add stitching, I would recommend going over each seam with a zig zag or decorative stitch before moving onto the next shape. -The directions say to make 16 of each shape, I ended up only using 13 because I think I made my circle too small. I was still pleased with how the size turned out. -For my zipper I used the technique I used here. I wasn't too worried about hiding it since it will always be on the bottom. I cut the circle out in one piece and attached the zipper to line up with the long rectangle I cut out. -A great idea is to make two or three in different colors and sizes and style like this. 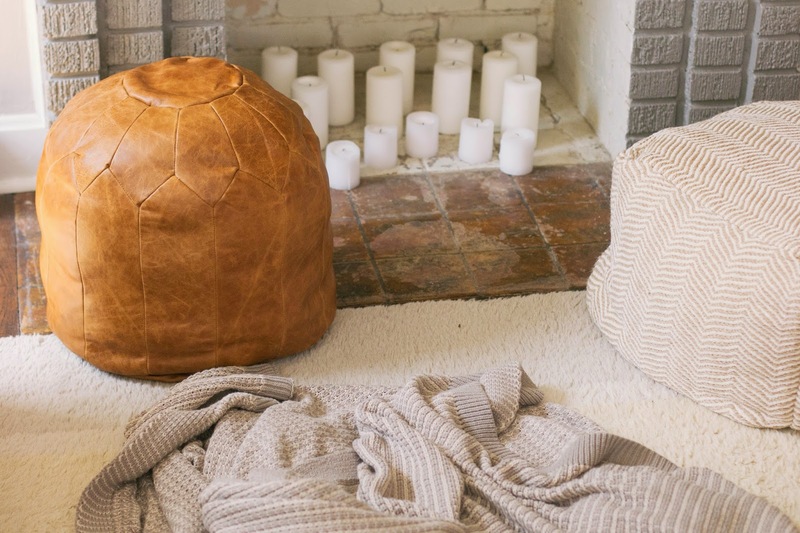 I've been wanting to take small strides towards decorating our home without having to break the bank. What have you been making lately? Also... where do you find large pieces of leather? Do you just buy the enormous rolls? I can never find any! 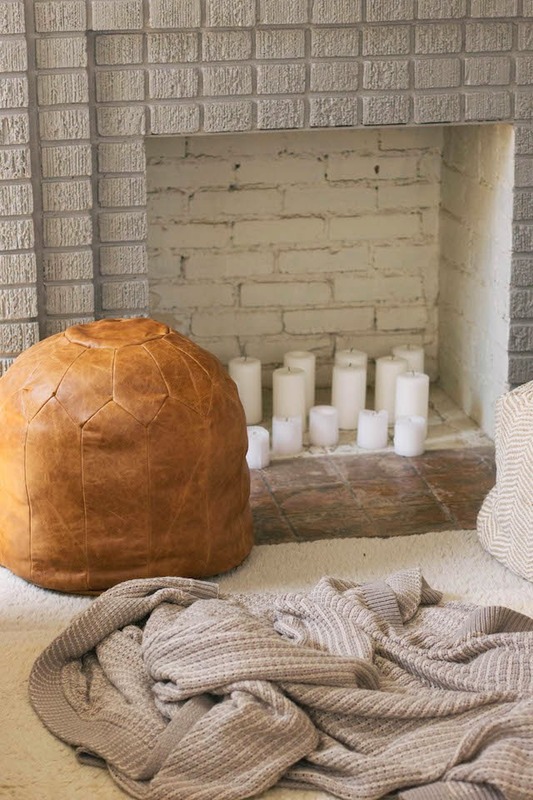 Look for odd lots - you can usually find inexpensive leather that has character that way! 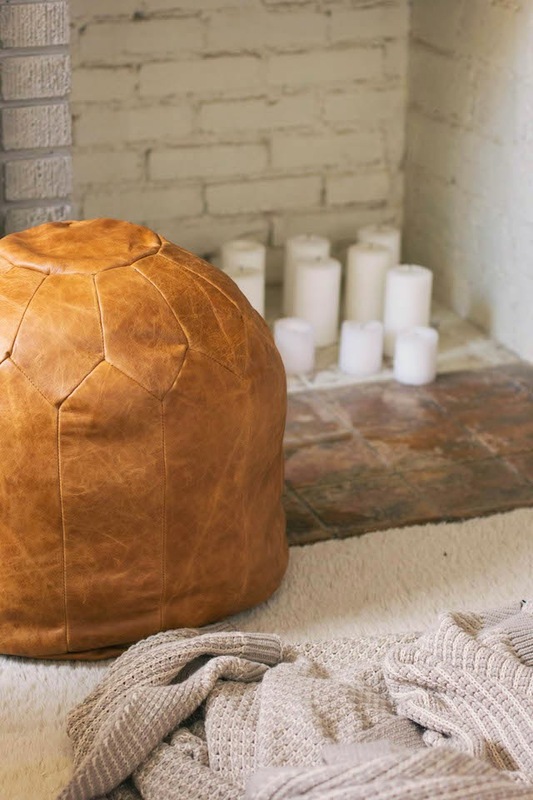 that's a seriously cute pouf. I'm impressed. Thanks Sarah! The tutorial was super simple to follow and it was really fun to make! Any recommendations on how to view the tutorial? It looks like the site is invitation only. I love that you posted this and hope to check out the details :) Thank you! Try it now, I believe the link is back to working! Hi! 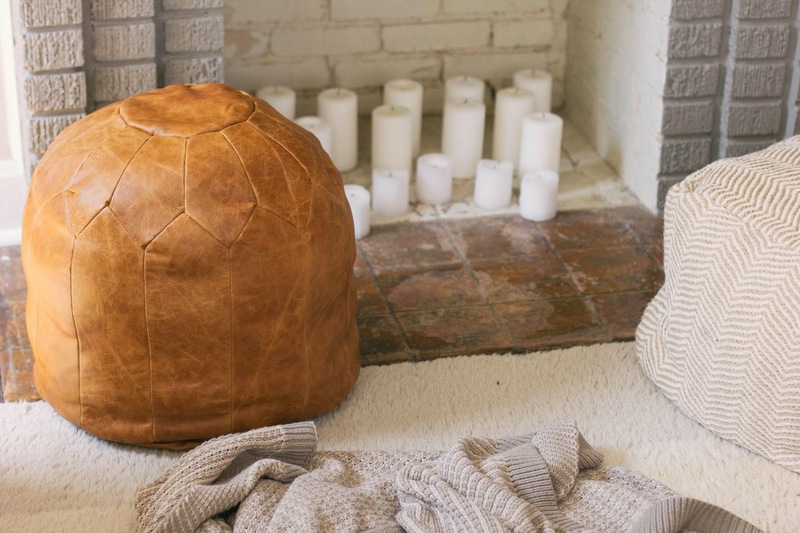 I'm trying to make this pouf but the link you posted won't let me view the instructions. 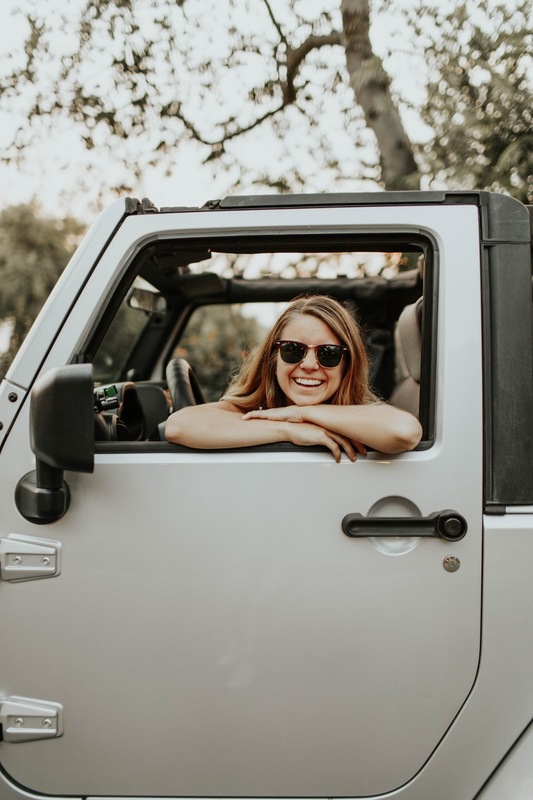 Can you post them to your blog?